Stunning with carbon. I really like it with the wood too. Last edited by TheIvoryG; 11-06-2013 at 10:33 AM. Yea, I may have to buy the CF bezel now and get these *****. Is this an aftermarket shift ****? I like the stitching. It is M37 shift ****. Another satisfied customer , I ordered the ***** Friday evening and I received them Monday morning. So happy I never got around to ordering the jdm one's, all we need now is ring below the screen. Last edited by KAMSFODO; 02-06-2014 at 11:24 AM. Nice! 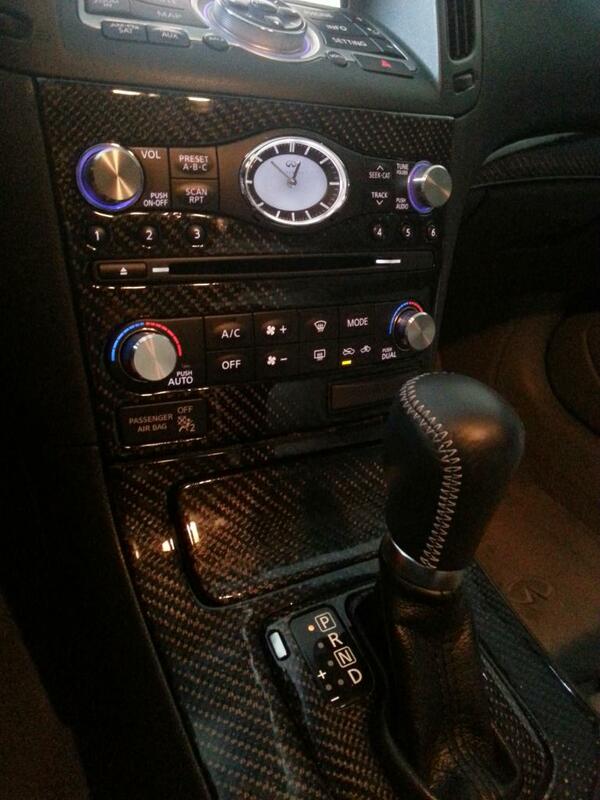 Digging your CF interior. If you're selling your G, would your interior be for sale? Ok for some reason my factory ***** don't want to come off. Are you guys just pulling them out? Or is there another way to do it? Last edited by Skyline6mt; 02-18-2014 at 04:32 PM. Hey, Im new to this forum so I don't kno where to find these carsmo *****. I would appreciate it if you could point me in the right direction? thanks! Is there a retailer on this forum selling this set? If so, please PM me with price.